To get started, you’ll need to install the App Center SDK. This is the shortened version of the documentation in that link. Replace the curly braces and ‘Your App Secret’ with your actual app secret. Now that you’re all configured you can start calling the crashes module in your catch blocks, or anywhere you want to report a non optimal situation, and call the events module for any event you want to report. Calls to the crash and event modules are shown below. Pass an exception object to the crashes call, and a string argument to the event call. They each also take a Dictionary<string, string> argument where you can pass up to 20 custom properties and values. There are other limitations, such as 200 distinct event names, a maximum limit of 256 characters per event name and 125 characters per event property name and event property value. Call these and the SDK will send the data up to App Center where you will see it in the portal. In the portal you get session count and device properties like model and OS version for free, meaning no extra code required. The portal displays your data in aggregate and also gives you some nice charts. Here’s a couple of images of the events main page and a detail view of one of the events. You can see from the images above I’m logging some things that I care about in this sample field technician app. Namely: A user logs in, a user creates a ticket, and so forth. 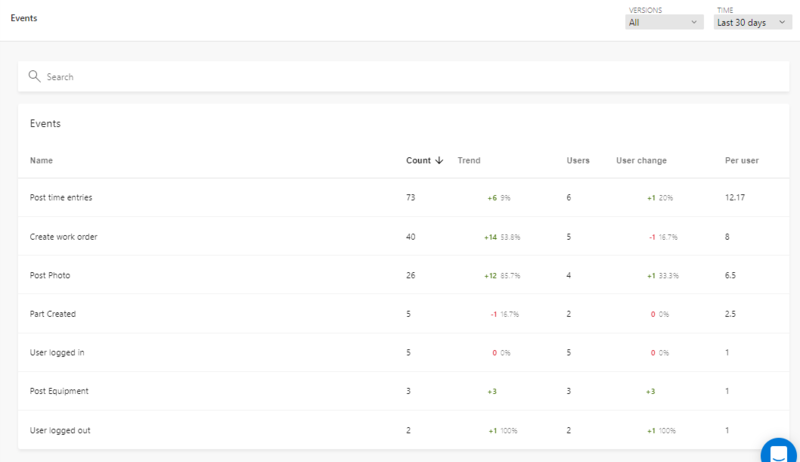 In the second image, you can see the drilled in view and details which include the number of users, and if you scrolled down, values of the custom properties I sent. With App Center, you can even export this data to Azure Blob Storage or Application Insights to gain further insights. Another cool feature is the ability to see log data in real time as it is sent to App Center. 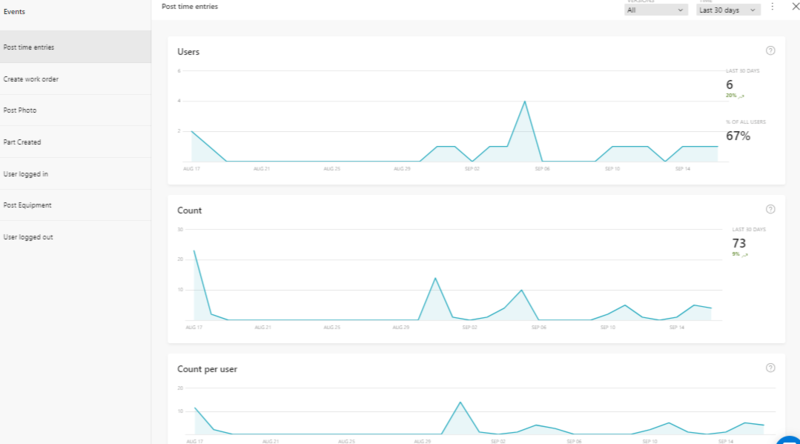 Simply navigate to the Analytics > Log Flow menu item in your App Center app, use your app in a way that invokes anywhere in your code where you have wired up an SDK call and BAM, you’ll see the raw data come in. How cool is that? I can’t wait to see what else they might come out with.